For hair that is dull or lackluster, a medley of lemon essential oil, quinoa protein, aloe and vitamin E gently clarify, brighten and remove excess oils and dulling build up. The result: natural highlights, colour and shine are restored. Aloe Barbadensis Leaf Juice(1), Aqua (Water), Coco-Glucoside, Lauryl Glucoside, Sodium Coco-Sulfate, Sorbitol, Cedrus Atlantica Bark Oil, Citrus Aurantifolia (Lime) Oil, Citrus Aurantium Dulcis (Orange) Peel Oil, Citrus Limon (Lemon) Peel Oil, Citrus Grandis (Grapefruit) Peel Oil, Litsea Cubeba Fruit Oil, Calendula Officinalis Flower Extract(1), Chamomilla Recutita (Matricaria) Flower Extract(1), Chenopodium Quinoa Seed(1), Citrus Limon (Lemon) Peel Extract(1), Styrax Benzoin Resin Extract, Tocopheryl Acetate, Babassu Oil Polyglyceryl-4 Esters, Bisabolol, Citric Acid, Decyl Glucoside, Inulin(1), Sodium Sulfate, Alcohol(1), Benzyl Alcohol, Potassium Sorbate, Sodium Benzoate, Citral, Limonene. 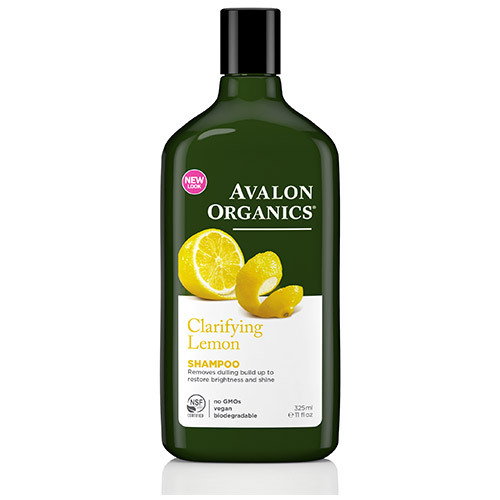 Below are reviews of Avalon Clarifying Lemon Shampoo - 325ml by bodykind customers. If you have tried this product we'd love to hear what you think so please leave a review.